In our last seminar, we looked at the meaning of liturgy, the meaning of liturgical space, and how seek to bring both of these together. Part of our role as liturgical leaders and facilitators is to enable and to empower people to grow in these understanding themselves, so that they enter and enjoy and engage in the worship of the Church, knowing that we are all in communion with God through Christ, and in communion with one another in Christ. But, despite our best efforts, we all know how some parishioners resist change, never mind their resistance to engaging in the wider and deeper theological concepts involved in worship and liturgy. They may simply refer to it as “the Black Book.” But, of course, they think they are hankering back to the 1662 Book of Common Prayer. In fact, what they think is the 1662 book is the 1960 book, with many changes, amendments, deletions, and additions in between. And being aware of how we came to have the present 2004 Book of Common Prayer is part of what helps us to facilitate people to engage fully in the worship and liturgy of the Church today. How did we get The Book of Common Prayer? At the time of the Reformation in England, the Church of Ireland had no convocation. And so the Reformation was introduced through orders from the government rather than through ecclesiastical measures. It was not until 6 February 1551 that a royal letter was sent to the Lord Deputy, Anthony St Leger, reminding him that the king had “caused the Liturgy and prayers of the Church to be translated into our mother tongue of this realm of England.” And he was instructed that The Book of Common Prayer was to be provided in English in places where English was understood. On receiving the letter, St Leger summoned an ecclesiastical assembly of the bishops and clergy and placed the order before them. It was strongly resisted by Archbishop George Dowdall of Armagh, who left the assembly with the greater part of bishops. Those who remained included Archbishop George Browne of Dublin, Bishop Staples of Meath and three others. On Easter Day, 29 March 1551, the first Book of Common Prayer, which had been published in England two years earlier, was introduced for the first time in the Church of Ireland. This service in Christ Church Cathedral, Dublin, attended by St Leger and other senior figures, was the first occasion on which the post-reformation liturgy in English was used in any church in Ireland. But this was a culturally significant moment in Irish life in general too, for this was the first book printed with movable type on this island. St Leger also had The Book of Common Prayer translated into Latin, and this version was used and used in Limerick City. However, instructions to have the services read in the Irish language were not followed in areas where people spoke Irish as their first language. In other words, the majority of people on the island were by-passed or ignored. Only five Irish bishops, led by Archbishop George Browne of Dublin, were prepared to use the new Book of Common Prayer. The Archbishop of Armagh left his diocese, saying “he would never be a bishop where the Holy Mass were abolished,” and fled the country. The second Book of Common Prayer (1552) was introduced in England the following year. But it was never authorised for use in Ireland, and its only recoded use was when the strong reformer, John Bale (1495-1563), insisted on using it for his consecration as Bishop of Ossory by Archbishop Browne in Dublin on 2 February 1553. Bale’s consecration caused controversy with his refusal of the Roman rite at his consecration, demanding a Bible in place of the crozier, and the Dean of Christ Church Cathedral, Dublin, protested against the revised office during the ceremony. However, the second Book of Common Prayer (1552) was never authorised for use in Ireland, and the 1549 book remained in use until the end of the reign of Edward VI in 1553. However, it appears to have been unpopular everywhere. The conservative priests, as in England, made the best of it for moment, retaining the ceremonial. Bale reported scathingly: “The Communion was altogether like a popish Mass, with the old Papish tricks of the Antichrist, bowings and backings, kneelings and knockings.” The majority of the clergy made no delay in restoring the Latin Mass on the first news of the death of Edward VI. Although Bale had visited Kilkenny after his appointment in 1552, he never took possession of his diocese. He fled Dublin on the accession of Queen Mary, and was captured and imprisoned in Dover. He died as a canon of Canterbury Cathedral in 1563. 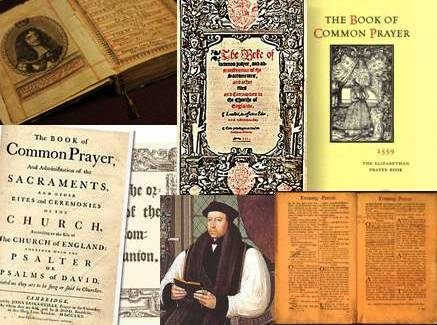 Meanwhile, after the death of Edward VI in 1553, the Reformation legislation was overthrown by Queen Mary in England, although no act was passed in Ireland during her reign to prohibit the use of the English Book of Common Prayer. And so the 1552 Book of Common Prayer made only a very limited and an unusual appearance in the Church of Ireland. After the death of Mary and the accession of her sister Elizabeth in 1558, the third Book of Common Prayer (1559) was introduced. Perhaps, as Michael Kennedy suggests, it might have been more helpful in Irish circumstances, to have reintroduced the 1549 Book of Common Prayer. In the 1559 Book of Common Prayer, the pre-Reformation roots of the liturgy remained evident in spite of its clearly Reformed character, and the order for the Holy Communion was based on the old Sarum Rite of the Mass. In England, Bishop Stephen Gardiner of Winchester had claimed he could read the old doctrines in the new rites. So, at the meeting of the Irish Parliament in January 1560, in the face of great opposition, the 1559 book was introduced to Ireland with the passing of the Act of Uniformity. The Latin translations were made in 1560 and 1571. The 1560 translation contained a large number of divergences from the English text that were corrected in 1571. However, we have no evidence as to how widely these translations were used in Ireland. Meanwhile, large Bibles were set up in the choirs of Christ Church Cathedral and Saint Patrick’s Cathedral in Dublin. However, popular enthusiasm for reform was lacking in Ireland, and there was considerable resistance to the prayer book among both the clergy and the laity, not least among the Anglo-Irish or “Old English” families in the Pale, who were the most Anglicised sector of society. By 1570, the administration had provided the characters needed for printing in the Irish language, but the Church of Ireland went without an Irish-language translation of The Book of Common Prayer for more than another generation. Until the foundation of Trinity College Dublin in 1592 – mainly to provide theologically-educated clergy for the Church of Ireland – there was essentially no means of training clergy in the Reformed tradition. Many of the clergy inherited by the Church of Ireland were ill-educated and strongly inclined towards the faith and order of the old unreformed church. Highly-motivated Irish clergy of the post-Tridentine Roman obedience, who were trained in continental European seminaries, returned to Ireland and worked hard at confirming people in the traditional beliefs and practices. The Hampton Court conference called by James I gave rise to both the 1604 Book of Common Prayer and the Authorised Version or King James Version of the Bible. The modifications in The Book of Common Prayer were mainly to the rubrics in the Office of Private Baptism; after the word “absolution” in Morning Prayer and Evening Prayer, the words “or remission of sins” were inserted. The meaning of “Confirmation” was expanded. And a new portion on the sacraments was added to the Catechism. In 1608, that 1604 Book of Common Prayer became available in the Irish language for the first time with a printing of an Irish translation of the 1604 edition of The Book of Common Prayer. In 1615, the Church of Ireland adopted its own articles of religion, the 104 Articles. However, these were abandoned, although never fully repealed, when the 39 Articles were accepted by the Irish Convocation in 1634. 1, There were adjustments in the rubrics and the calendar. 2, Some phrases in the liturgy that were now regarded as old-fashioned were amended or changed. 3, The new translation of the Bible published in 1611 (the Authorised Version or King James Version) was used. 4, Some prayers and thanksgivings were added. 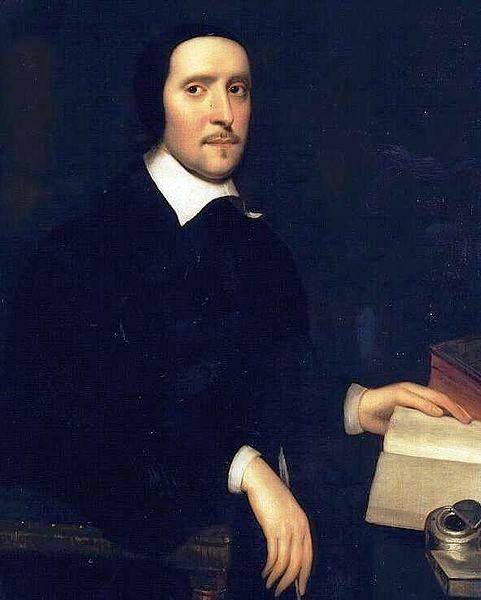 In 1665, the 1662 book was annexed to the Irish Act of Uniformity, having already been approved by the Irish Convocations, primarily through the hard work of Bishop Jeremy Taylor and Archbishop John Bramhall of Armagh. It is this book, described by that saintly bishop Jeremy Taylor as “this excellent book,” that served the Church until a separate revised Book of Common Prayer was approved in 1878. ● A service commemorating the thwarted attempt of the seizure of Dublin Castle by Roman Catholics on 23 October 1641 (this incident and the service are both rather similar to that in the 1662 Book of Common Prayer for the Gunpowder Plot). ● A prayer for the Lord Lieutenant of Ireland was added to the state prayers at Matins and Evensong. ● A service for the Visitation of Prisoners, approved in 1711; the service of the same name in older US Prayer Books is essentially identical to this form. ● Three related services – (a) for the Consecration of Churches or Chapels, (b) an Office for the Restoration of a Church, and (c) an Office for the Expiation of a desecrated Church – were printed in certain Irish Books of Common Prayer from 1700 on, although they were not part of the book approved by the Act of Uniformity. The service for the Consecration of Churches or Chapels was discussed at the English Convocations in 1662 and 1663, and was probably written by Bishop John Cosin. ● A “Form for receiving lapsed Protestants, or reconciling converted Papists” also appears in certain Irish editions of The Book of Common Prayer from 1700 on. In 1801, the Act of Union united not only the parliaments of Britain and Ireland but also the Church of Ireland and the Church of England. All differences in The Book of Common Prayer of the Church of England and the Church of Ireland ceased in 1801 when the two Churches were merged under the terms of the Act of Union as the United Church of England and Ireland. The unmodified 1662 Book of Common Prayer of the Church of England then became The Book of Common Prayer in the Church of Ireland. ● A service revised in 1715 and for use on 5 November, giving thanks not only for the deliverance of James I from the 1604 “Guy Fawkes” Gunpowder Plot, but also for the “Glorious Revolution” of 1688 and William III’s landing in England. These services were removed from The Book of Common Prayer in 1859. Just over a decade later, the Church of Ireland was disestablished. In 1551, the Lord Deputy, St Leger, had received instructions from London that The Book of Common Prayer was to be provided in English in places where English was understood. However, instructions to have the services read in the Irish language were not followed in areas where people spoke Irish as their first language. In other words, the majority of people on the island were by-passed or ignored. We might ask what would have happened had an Irish-language version of The Book of Common Prayer been produced simultaneously. Would the religious history of Ireland have been radically different? Were The Prayer Book and the English Bible viewed as part of an attempt to impose the English language upon Ireland? Michael Kennedy and others would argue that the failure to provide The Book of Common Prayer in Irish for two full generations between 1549 and 1608 was a contributing factor in the comparative lack of success of the Reformation in Ireland. A printing font of Irish type was provided in 1571, but it still took another generation before an Irish-language version of The Book of Common Prayer was actually printed. The New Testament was published in Irish in 1602, but only in a limited edition of 500 copies. The 1604 Book of Common Prayer was translated into Irish by Archbishop William O’Donnell in 1608. Modern Irish scholars are full of praise for this translation and its linguistic style. The book was typeset in a special font created from mediaeval manuscripts and prepared in England. An order from the Lord Deputy said it should be distributed throughout the Church of Ireland by the bishops, with a copy being available to every parish. During the reign of Charles I, the Provost of Trinity College Dublin, William Bedell (1571-1642), later Bishop of Kilmore, prepared an Irish translation of the Old Testament. During Bedell’s time as Provost of TCD, there was an Irish lecture in hall and Irish prayers in the chapel on holy days. However, Bedell’s Old Testament was not published for more than 40 years after his death. In 1685, it was published by Archbishop Francis Marsh of Dublin and Robert Boyle, the physicist and philosopher. An Irish-language version of the Catechism was printed separately in 1680. A new translation of the 1662 Book of Common Prayer was made by John Richardson in 1712 – a delay of 50 years. Although experts say this translation it was inferior to O’Donnell’s translation, it was the commonly used translation for more than two centuries. However, most Irish speakers could not read the characters used. A rubric in the 1878 Book of Common Prayer allows for its use in Irish where the Irish language is understood. The 1926 edition was translated into Irish in 1931, and a new Irish-language edition of The Book of Common Prayer using the Roman alphabet was published in 1965. The publication of the Irish and English language editions of the 2004 Book of Common Prayer was almost simultaneous. Most of the work on this was by Archdeacon Gary Hastings, the Rector of Galway. The Book of Common Prayer(1662 and 2004 editions of the Church of Ireland). RT Beckwith, ‘The Prayer Book after Cranmer,’ pp 106-110, in C Jones, G Wainwright, E Yarnold and P Bradshaw (eds), The Study of Liturgy (London: SPCK, 1992). RT Beckwith, ‘The Anglican Eucharist: From the Reformation to the Restoration,’ pp 309-318, in Jones, Wainwright, Yarnold and Bradshaw (eds, 1992). FR Bolton, The Caroline Tradition in the Church of Ireland (London: SPCK, 1958). GJ Cuming, A history of Anglican liturgy (London: Macmillan, 2nd ed, 1982). A Dunstan, ‘The Eucharist in Anglicanism after 1662,’ pp 318-324 in Jones, Wainwright, Yarnold and Bradshaw (eds, 1992). WJ Grisbrooke, Anglican Liturgies of the Seventeenth and Eighteenth Centuries (London: SPCK, 1958). C Hefling and C Shattuck (eds), The Oxford Guide to The Book of Common Prayer: A Worldwide Survey (2006). GV Jourdan, “Reformation and Reaction,” Chapter IV in WA Phillips, History of the Church of Ireland, vol ii (Oxford: OUP, 1934). J McCafferty, “John Bramhall and the Church of Ireland in the 1630s,” in A Ford, J McGuire and K Milne (eds), As by Law Established – the Church of Ireland since the Reformation (Dublin: Lilliput, 1995). B Mayne, “Ireland,” pp 202-208 in Hefling and Shattuck (eds) (2006). B Mayne (ed), The Prayer Books of the Church of Ireland, 1551-2004 (Dublin: Columba, 2004). H Miller, “The Church of Ireland,” pp 431-437, in Hefling and Shattuck (eds) (2006). F Procter, WH Frere, A new History of Book of Common Prayer (London: Macmillan1961). H Pyle, You can say that again: Common Prayer in the Church of Ireland (Dublin: APCK, 1977). MV Ronan, The Reformation in Dublin 1536-1558 (London: Longmans, 1926). K Stevenson, B Spinks (eds), The Identity of Anglican Worship (Harrisburg: Morehouse, 1991). (Revd Canon Professor) Patrick Comerford is Lecturer in Anglicanism, Liturgy and Church History, the Church of Ireland Theological Institute. This essay is based on notes for a lecture at the Reader Course Day Conference on Saturday 7 February 2015.